888 Holdings is a casino software developer which was founded in 1997 by a small team of Israeli entrepreneurs. Two pairs of brothers, Avi and Aaron Shaked & Shay and Ron Ben-Yitzhak, were the founders of the company which was first named Virtual Holdings Limited. The company headquarters is located in Gibraltar and their software is licensed in many countries including: Gibraltar, UK, Spain, Italy, Denmark, Ireland, Romania, Nevada, New Jersey and Delaware. 888 Holdings also has a subsidiary company called Cassava Enterprises which owns and operates a number of online casinos. 888 Casino, 888 Poker, 888 Sport, 888 Ladies and Wink Bingo are some of the most trusted brands of 888 Holdings. In 2014 the company redesigned their casino software to keep up with the latest trends in the mobile world. 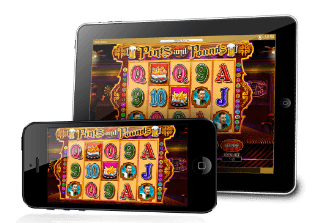 All of their casino games are now accessible to all mobile devices regardless of the operating system they use. You can easily access the casino games from your Android smart phone or from your iOS iPhone. 888 Holdings doesn't have a very big number of video slot games in their offer. Still their slots are very unique in design, visual effects and bonus features. Also most of their slots usually have a jackpot attached. Some of the most popular video slot games from 888 Holdings are: A Nightmare on Elm Street, The Big Lebowski, Under Construction, Octoberfest Spins, Once Upon a Dime, Snack Time, Jungle Goals, Love From London, 4th of July, Dawn of the Dinosaurs and Ghost in The Shell. Beside video slot games 888 Holdings also offers their own proprietary platform of online Poker, Bingo, Sports Betting and Facebook games. All of the online casinos which are owned and powered by 888 Holdings have generous bonus promotions. Players can often claim no deposit bonuses and daily match deposit bonuses. The company is dedicated to satisfy their players so they always tend to have regular bonus promotions. 888 Holdings is an online casino software provider company which was founded in 1997 with headquarters in Gibraltar. Yes, the casino games from this company are proven to be fair by their license regulator and by several independent testing agencies. Yes, the company owns a number of online casinos recognizable by the 888 brand. The casino games coming from this company are unique and interesting with attractive bonus features. Players can also win jackpots which are attached to most of their slot games.